Thom Pain (based on nothing). Sitting in the dark, waiting for something to appear or happen on the stage, is a phenomena (not peculiar to theatre) that both unites and separates us. It is something we do together and yet it emphasises our aloneness as we collectively ‘wait’ – ah la Samuel Beckett. It is this awkwardness of connection, the strange way the other experiences you, defines you and reveals you that seems to interest Will Eno in many of his plays, but particularly in his Thom Pain (based on nothing), a searing, visceral experience that connects us immediately with the awkwardness and hesitancy of our experience of the other. 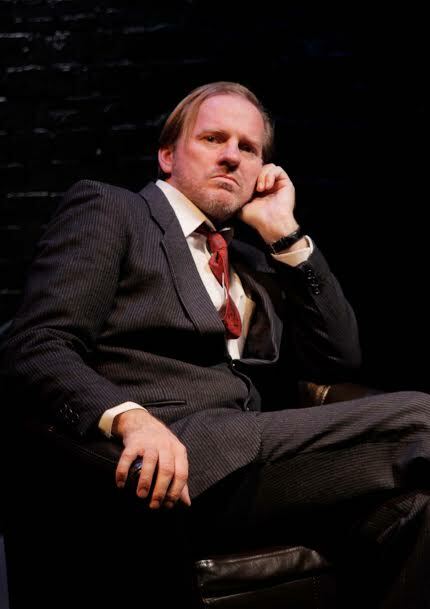 When the Sydney Independent Theatre Company produced the play a week or so ago, director Julie Baz wrote in her program introduction that sincerity is the primary motivator for Thom Pain, as explicitly detailed in Will Eno’s notes. Thom Pain is a man who has arrived at the conclusion that the best one can hope for is to be as misunderstood as little as possible, but as we also see throughout the experience of Thom Pain (based on nothing) sincerity means recognising the power of language and the Other to create us and distort us – or rather feed a self back to us that seems more of an unintended consequence, a by-product of our meaning, that has little to do with what drove our self-representation in the first place. Julie Baz also highlights the constant “threat” of inviting the audience to participate in the performance or rather interaction that is based almost entirely on audience discomfort that the breaks through the fourth wall. Does an emphasis on sincerity remove or include the fourth wall? Who or what is Thom Pain being sincere toward? The bulk of his monologue is wrapped up in the stop start relationship to a present that can only be interpreted through memory or at least some sort of invention from the past, and yet Will Eno’s disjointed words are a clear attempt to solve the problems of the limits of language, or rather the limits of English in an English-speaking world. Thom Pain (based on nothing) is an interactive show, with the audience primarily providing their discomfort. According to Will Eno, he originally wrote the monologue in response to his own dislike of monologues and with the intention of having the audience break through the fourth wall onto the performer. When, in the final produce we have the experience of Thom reaching through to us, that reach includes the audience’s return wisdom, almost as if Thom Pain and his audience are sharing a revolving familiarity of discomfort in the presence of the other. This is a heady experience, and one that needs a great deal of skill and dramatic accomplishment to carry it off. David Jeffrey is such a performer. His Thom Pain is a funnier version of some other takes on the character, but his immediate relationship to the audience is insistent and discombobulating, as Jeffrey includes the disarming facade of comic “relief” even as he easily reaches into the strange netherworld that exists between you and I. This is a disarming combination, as the audience feels Jeffrey is going to empathise with our position, and yet he uses our discomfort to slide us in and out of a false sense of security. For Jeffery, Thom Pain’s narrative is immediate, and includes many of the social gestures we use as signals of a familiarised social safety. When he breaks through to include – and this happens in the way he uses Eno’s language as well as gestures – the audience in his awkwardness, it hits hard when coupled with the safety his warm affability has established. As Eno properly understands, it is the sincerity that hinges all of this together and provides the uncomfortable glue for the revolving relationship Thom Pain has with his audience. This is a small production that had a brief initial season of a week, with Julie Baz directing David Jeffery and Kyle Stephens backing them up with stage management behind the scenes. 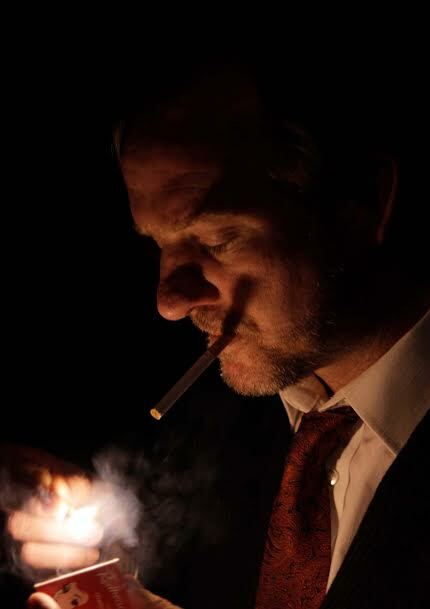 Although, really Thom Pain (based on nothing) is a one man show, it is worth seeing for the light and playful persuasion of David Jeffery who brings a fresh Thom Pain to the stage with his emphasis on audience and relationship, rather than narrative. It’s likely this performance will be on again over the next year or so, and it is well worth catching when it comes to another stage.